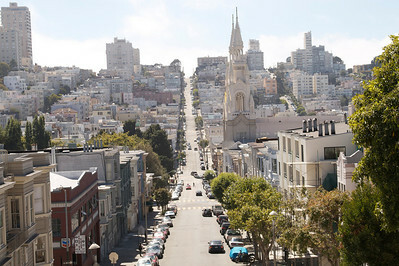 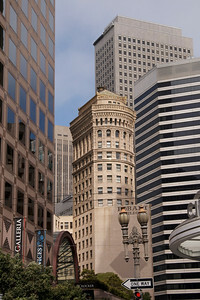 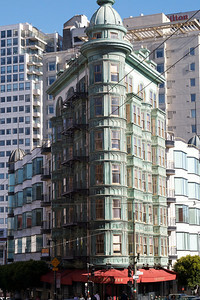 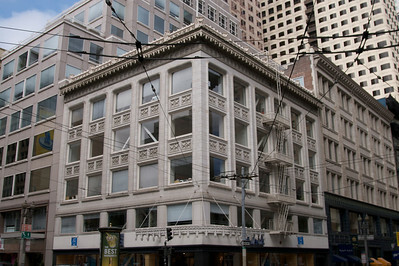 Photos by Sachin of streets of San Francisco. 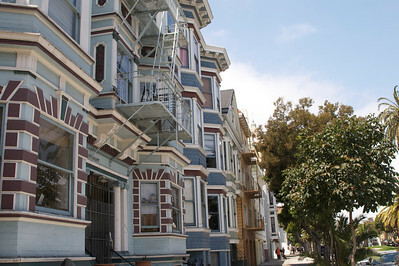 On Valencia Street, a little ways from Mission Dolores. 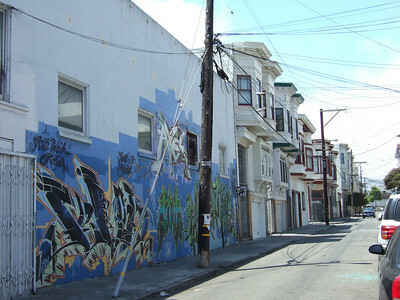 A street in Mission district but not one with a mural. 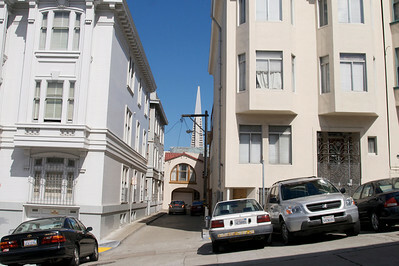 An alley near Coit tower. 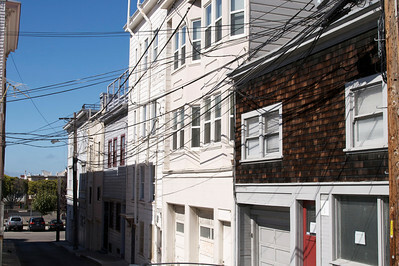 Another alley near Coit tower. 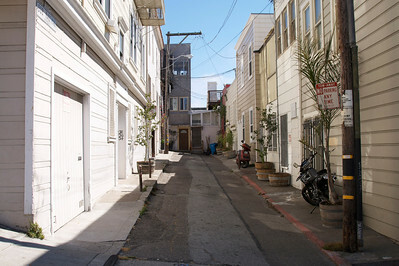 An alley in North Beach. 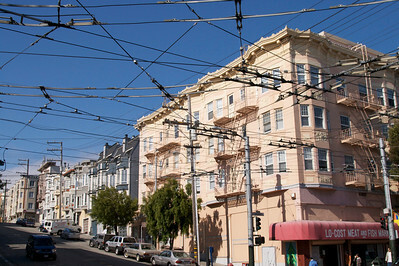 At the junction of Chinatown and North Beach. 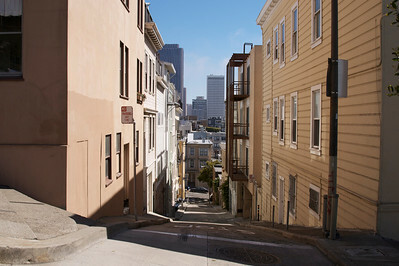 An alley in Nob Hill with the view of TransAmerica Pyramid. 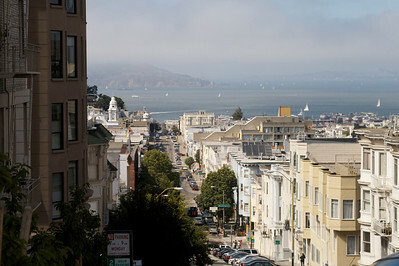 Looking at the Bay from Nob Hill.